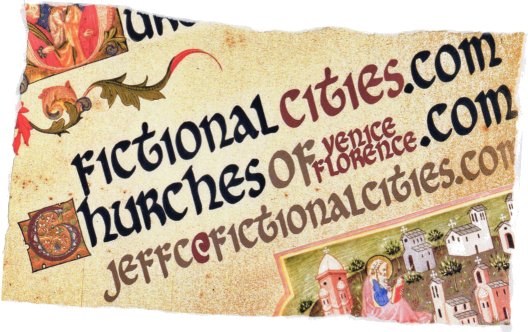 This site grew out of my frustration that there wasn't a site like it, or indeed a comprehensive book devoted to Venice's churches available in English. 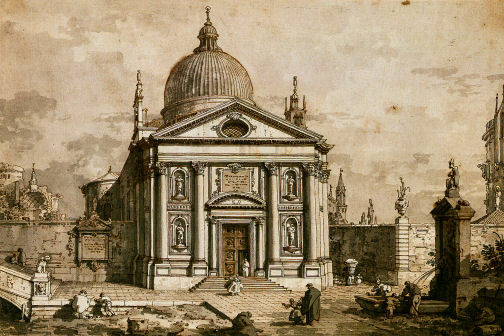 The churches are divided up by sestiere - the six 'boroughs' of Venice established by Doge Vitale Michiel in 1171. I've added an extra page for Giudecca, which is not a sestiere - it's actually part of Dorsoduro - but is a separate enough entity to deserve its own page, I think. There are also pages devoted to the islands and to demolished churches. I suppose I must point out that, contradictory (and maybe even contrary) as it may seem to some, this is a religion-free site. My interest is artistic, historical, and also impious. I am respectful of others' beliefs, usually, and expect them to be respectful of my personal convictions too. Each church's history is told, followed by a description of its architecture, artistic highlights, unique features, the art it has lost and any interesting stories. The degree to which each topic is covered will vary, depending on the information available and what makes each church interesting and worth visiting, as will the amount of personal observation and opinion in each piece. The latter depends on my having visited the church, and how recently, and it's this aspect that will keep the site improving for a good long while, I think. My intention is to tell you what makes each church special, rather than to list all of its features and contents. As I progress I'm finding that I'm becoming more interested in digging out the sparse facts about forgotten churches rather than writing about the churches that are well-enough covered elsewhere. Also I'm finding that on later visits experience and education is making me notice different things. Each entry also tells you the nearest vaporetto stop and a link to it's position on a special Google map. And then there's the opening times - I'll endeavour to keep these times as accurate as possible, but it's always a good idea to check before travelling, and to be prepared for disappointment. The photos are mostly mine, except where noted. Recent reading about Palladio has added some fascinating bits of content. For example I've been able to add to the fact that in 1204 the body of Saint Lucy was brought to San Giorgio Maggiore, but that her feast day celebrations on the December 13th became so popular that after a storm resulted in the deaths of many people in 1280 her body was moved to the church of Santa Lucia in Cannaregio, the fact that the disgruntled monks here held onto an arm relic. I've also added a photo of the Redentore interior that shows that until 1950 there were monochrome grisaille figures, like cardboard cut-outs, in imitation of sculpture, in niches in the nave. Improvement rather than expansion is my goal this year. A trip to Venice in September has been booked too, my last visit being January 2017. Correspondent Harry C reports that San Giobbe has reopened, but that the apse is still closed off. He also oddly found San Samuele open. There was no information about times that he could see but 'there was a notice saying a guidebook was available from the Sacristan (if you knew where to find him!)' He also found San Beneto closed, like everyone else, despite promises that it is now to be open. I've written to Chorus for clarification re. San Giobbe, but I've had no reply, and don't really expect one. I may have missed the recent Tintoretto exhibitions but I have the catalogue of the big Palazzo Ducale/Washington one and I'm working through the index's references to churches and adding much to the Tintoretto-related content here, and I've only got to San Giorgio! Season's Greetings! No new pages were begun in 2018 but Bologna, the newest page here, got solidly improved after a visit. 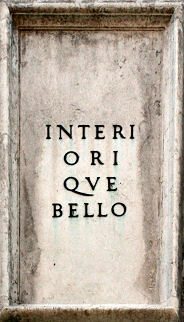 There was no visit to Venice for me this year, despite the lure of the Tintoretto exhibitions, but a trip is planned for 2019, to take in the Biennale and a tie-in exhibition devoted to the demolished church of San Geminiano, involving its links with Dutch painters, and a Tintoretto once owned by David Bowie. In other (hopeful) news recent press reports talk of a gathering of worthies to celebrate San Beneto reopening after 40 years closed. Correspondents on the spot have yet to find it open. Watch this space for further updates. 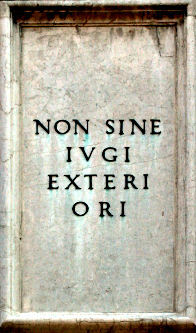 Much useful Venetian information and updates (and photos) came from a fair few of you this year. (You know who you are!) Which was all good. The current Mantegna and Bellini exhibition in London and a recent trip to Milan have resulted in some intensive appreciation and reading-up-on with regard to Mantegna. The fruits of this are some on-going big improvements to my entry for the Eremitani church in Padua. His frescoes there have been argued to be as important as those of Masaccio in Florence and Piero in Arezzo, but they where largely destroyed by American bombs in 1944. I'm also wondering about giving the best churches in Padua and Verona pages to themselves, as I have done for Venice and Florence. I can then go to town a bit more on their art. Having not been in Venice since January 2017 I was happy to take up recent correspondent Terry Hunefeld's offer of help, and asked him to check out the accuracy of old scaffolding updates and whether opening times still applied. And he's done me proud! Checking old facts and adding much that's new - all of which info I'm going to be adding to these pages this week. Depressing developments include more scaffolding screens to stop stones falling on tourists' heads (a thing in Florence too) as the façades of San Salvatore, the Gesuati and Sant’Aponal are now blighted by such stretches. The fact that it's just defensive and doesn't mean any actual work is happening means that it'll remain up for an even more indefinite time than usual, I suspect. And will the the work in San Sebastiano never end? I thought that it was finishing, but it looks like the interior has filled up with scaffolding again. Paying regular visits to a building site is wearing a bit thin. Also almost all of the Chorus-run churches now open a half-hour later and close a half-hour earlier, with San Stae now only open in the afternoons and San Giovanni Elemosinario only in the morning. Sant'Isepo and San Giobbe remain closed. I've just started a complete revision and correction run through all the Venice pages. No major changes so far, but typing errors are being corrected, links between churches inserted and there's often the need for rewriting in the light of the past few years' learning processes. On a quiet Sunday afternoon, with the temperature nudging 30 in London, nothing warms the cockles of a webmaster like the discovery that he's been cited and linked to on the Tate Gallery's website. And on another page on the site The Churches of Venice is cited to contradict the previous misidentification of a doorway! Also worth celebrating - my Bologna page is now live. Additionally a 2013 exhibition catalogue called Venise au XIX siècle, picked up cheap in the Nancy Musée de Beaux Arts, has provided references and scans for a few churches' The church in art entries, adding some French 19th century works. In prospect this year is a trip to Bologna in May, to get that city's page presentable. A visit to Venice is also a possibility as there are some tempting exhibitions to celebrate Tintoretto's 500th birthday. The Padua and the Verona pages had gathered some dust in the past year, but after a trip in September improvements (and additions) due to research and visits are in progress. I'm also experimenting with giving every other paragraph grey text, to differentiate between them without using up space with blank lines. I tried red text at first, being inspired in the whole thing by illuminated manuscripts, but changed it to grey because I thought that using red looked too much like I was highlighting that text as more important - which I'm not. Following March’s visit I have made a start on a page on Bologna’s churches, but planning a trip to Siena in October I realised that beginning Bologna should best wait until after necessary work on the still-incomplete pages devoted to Verona and Padua, as well as Siena. So I’m now planning a trip to Padua and Verona in (the otherwise somewhat empty of commitments month of) September. Seasoned aficionados of this site will know that I have long left the exploration of the Basilica San Marco to others, due to my not being at all fond of queues, crowds and mosaics. But this situation changed recently, with my taking various courses devoted to the early medieval period and Byzantium, and my visit to Venice in January 2017. So to celebrate the 10th birthday of The Churches of Venice I'm making a start! able to add some juicy details and dubious opinions to their mentions on this site. The trip to Venice this month has indeed resulted in additions major and minor, fresh photos and factual updates, as well as updated entries on art from some closed churches found in the Sant’Apollonia Diocesan Museum of Sacred Art. Most exciting of all was finding the macabre painted crypt of San Simeon Piccolo suddenly shockingly surprisingly open. I went into the Basilica for the first time in decades too. This year marks this site's 10th birthday. And still improving! Last year saw the addition of the Scuole page and I've even begun a Basilica San Marco page, as mentioned below, but am loath to upload it until I have freshly visited the place (I've not been inside since the early 1990s) which I'm hoping to do on a suddenly-arranged trip to Venice later this month! Click on the link and Like the page for regular news updates. You can post (positive) comments too. More than a decade of steady improvement!